Can $175.00 *Excludes local tax and delivery if applicable. What is better than one dozen long stemmed red "freedom" roses in a vase? 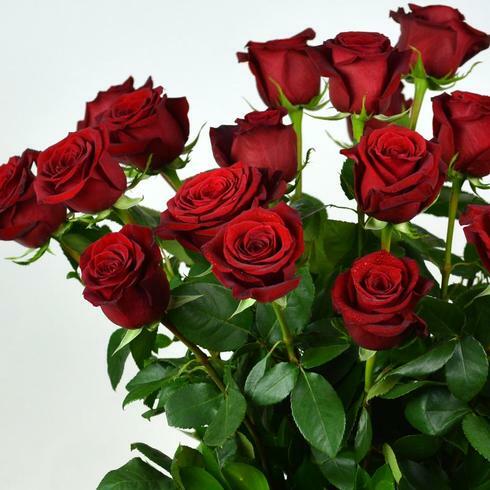 TWO dozen long stemmed red "freedom" roses in a vase! Perfect for seasonal holidays and events such as anniversaries or Valentine’s Day. 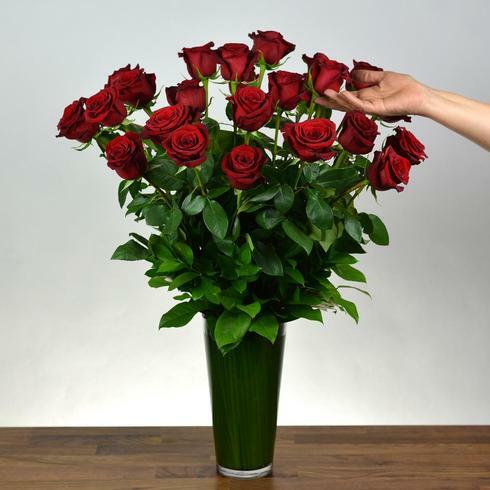 This vase arrangement accented with beautiful greenery is also a traditional gift appropriate for a gesture of gratitude and congratulations. We take pride in delivering the freshest products available. Because we work with perishables and maintain high standards, occasionally, substitutions of flowers or containers may occur. Ordering online... as easy as 1-2-3! Montreal flower delivery is what we do best! Westmount Florist has been delivering some of the finest blooms to the greater Montreal area for over 50 years. Thanks to our online boutique, you can now to order a bouquet or arrangement with just a few clicks and send it to your loved one. Copyright © 2019 Westmount Florist Inc.